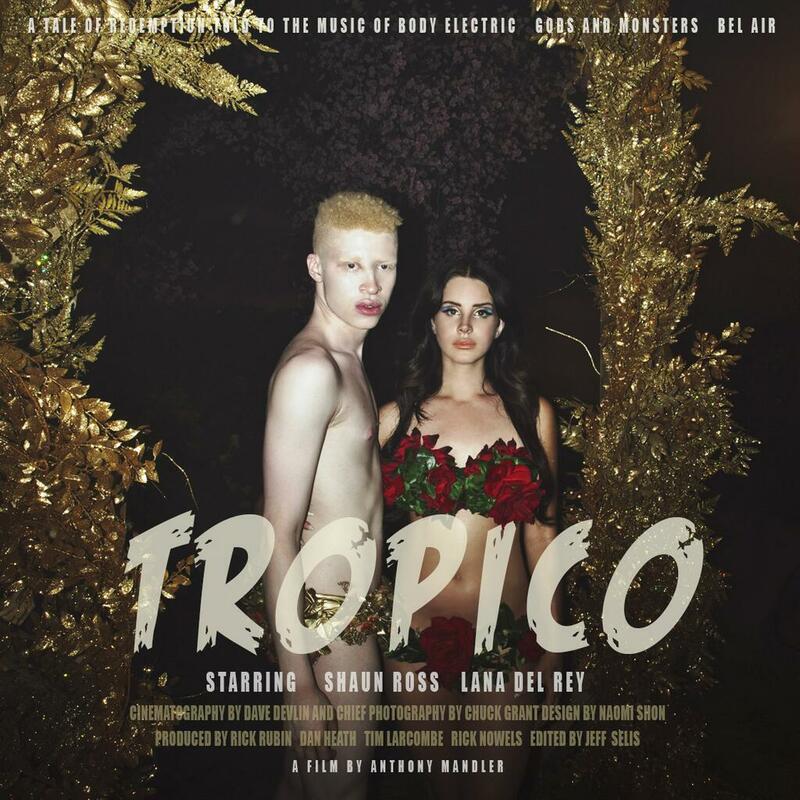 Here it comes the short film Tropico which announces the forthcoming long-awaited Lana Del Rey‘s album Ultraviolence. Conceptual video, this depicts unreal and scaring situations where Marilyn Monroe, Jesus, Elvis and John Wayne especially are the guide-sprit for Lana and her Adam. Starting from the fall of Adam and moving through the hell of strong and concrete realities made by drugs, violence and obscenity, the Dantesque journey gets the heaven step back in the end, when Lana finally can warmly sing “walk in the way of my soft resurrection“, “Darling, i’m waiting to greet you. Come to me, baby”. Featuring songs Body Electric, Gods and Monsters, and Bel Air, the video is directed by Anthony Mandler and produced by Rick Rubin, and reveals the next issue is a concept album devised through a deep and reflective path into nowadays reality. A great production, a must-watch.